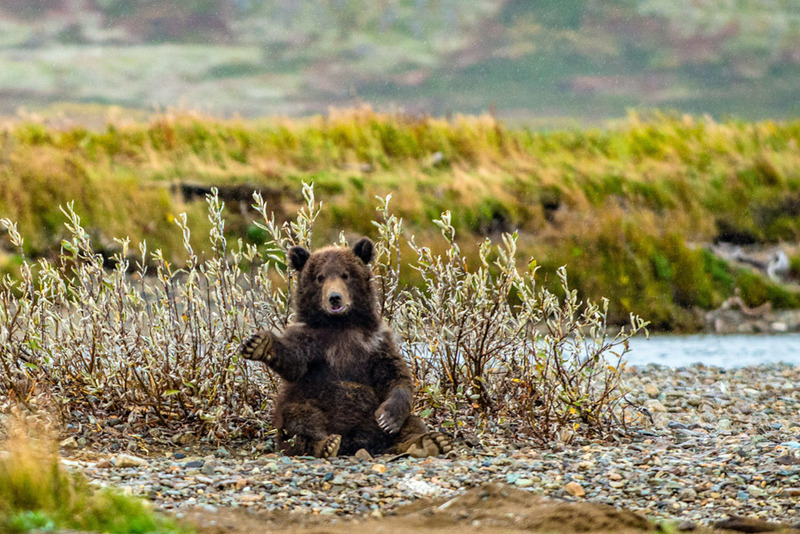 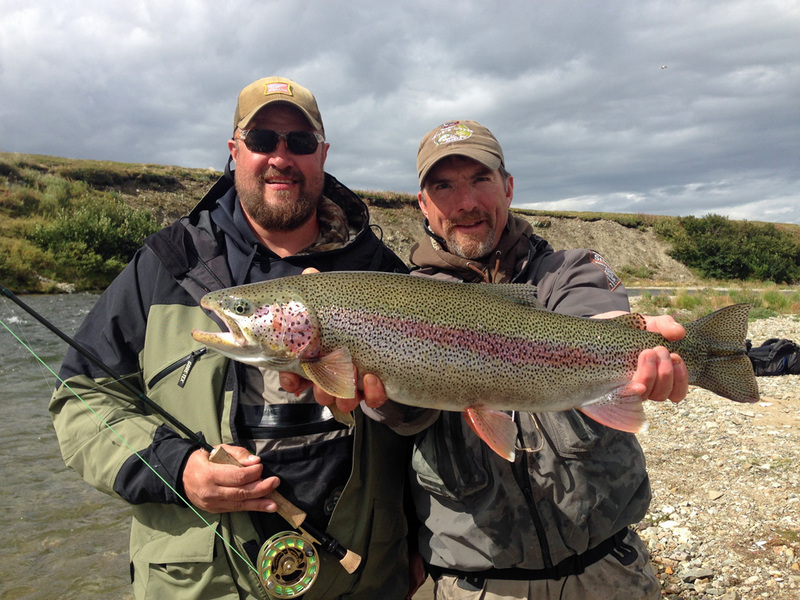 Brad’s Igiugig Lodge is located in the Bristol Bay region of Alaska, at the headwaters of the Kvichak River. 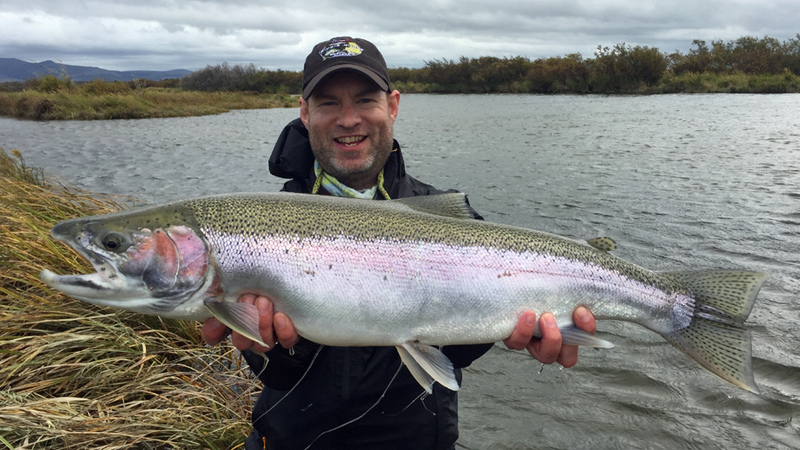 Our Bristol Bay fishing lodge is strategically located on the shore of Lake Iliamna just feet from where it drains into the Kvichak River. 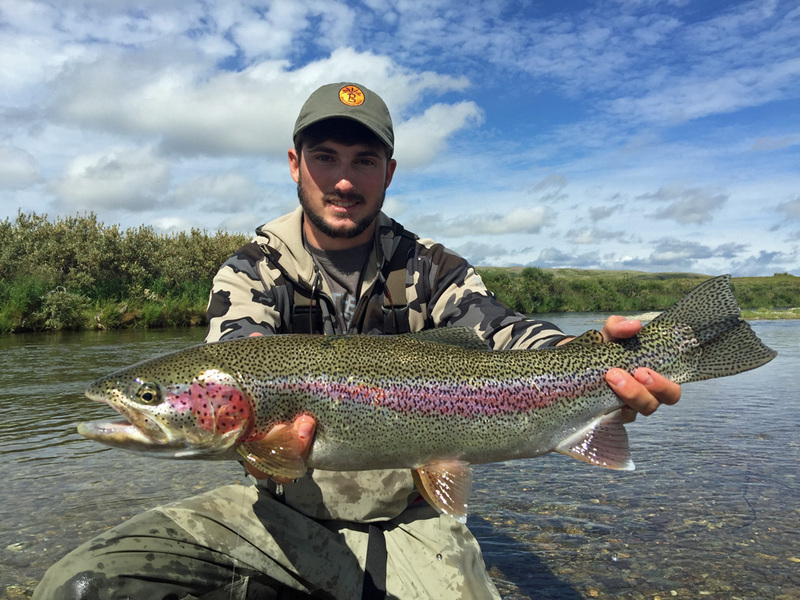 This means you can step out the door of your cabin and be fishing some of Bristol Bay’s best world class trophy trout and salmon water. 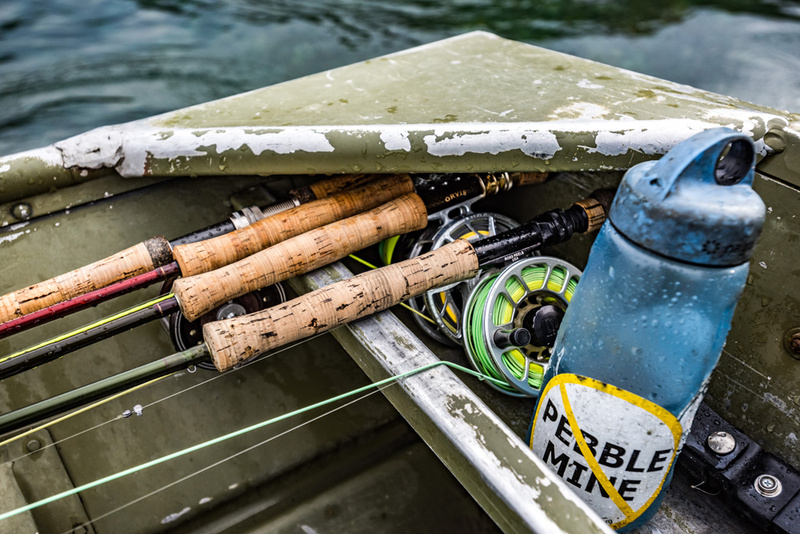 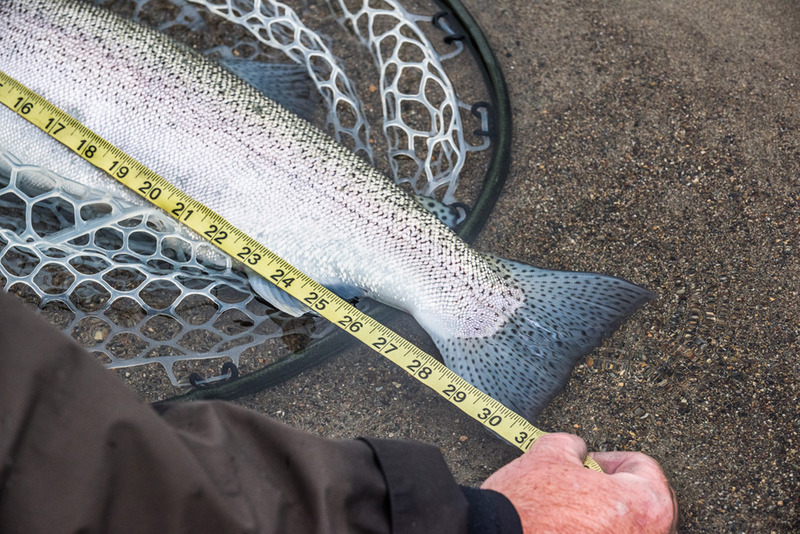 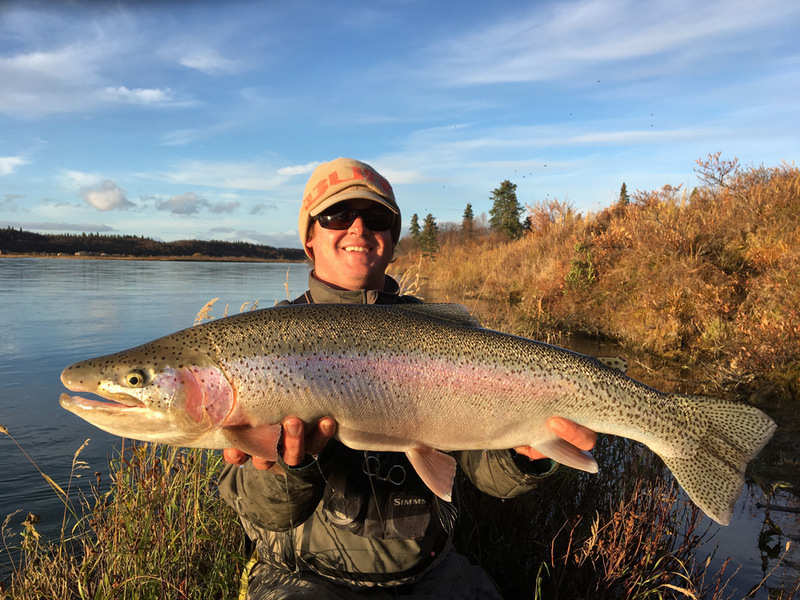 The Iliamna Lake drainage, which includes the Kvichak River, is designated by the Alaska Department of Fish & Game as a Trophy Rainbow Trout area and careful regulation has kept the fishing spectacular. 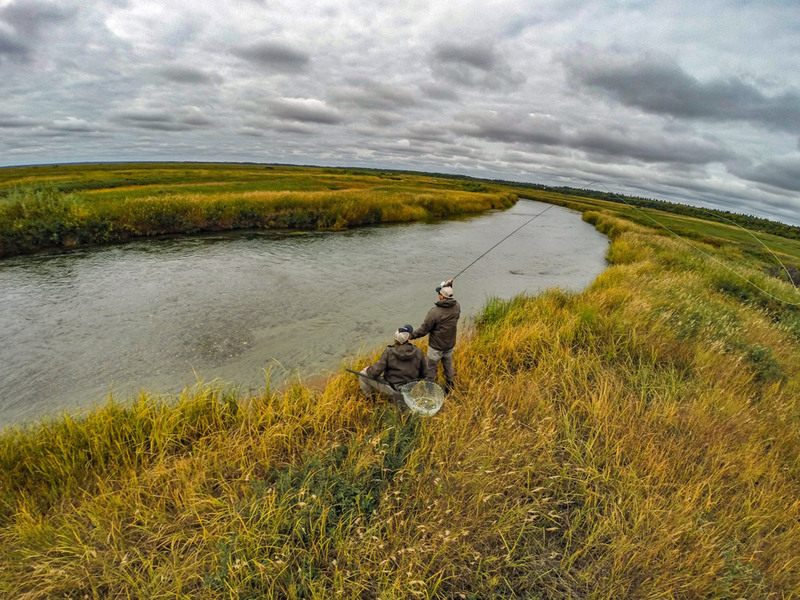 Probably one of the nicest surprises for anglers visiting the Kvichak River is it’s size and wade ability. 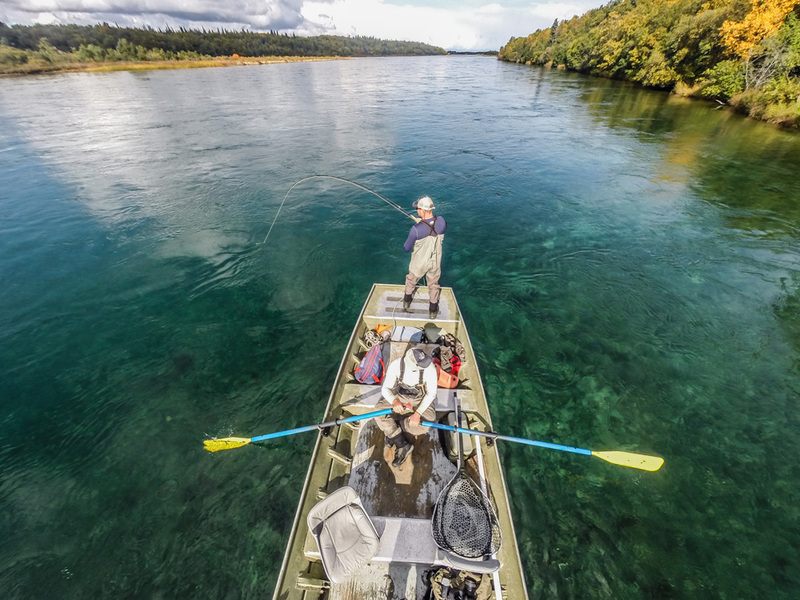 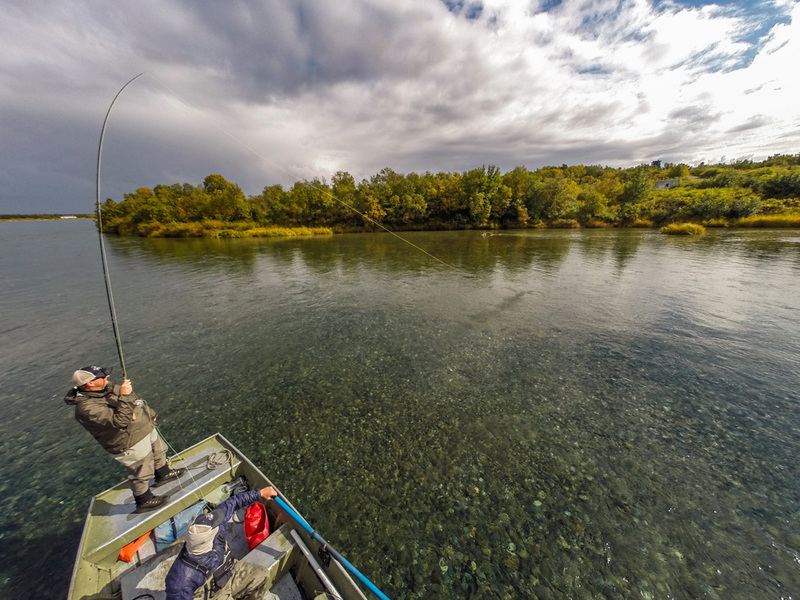 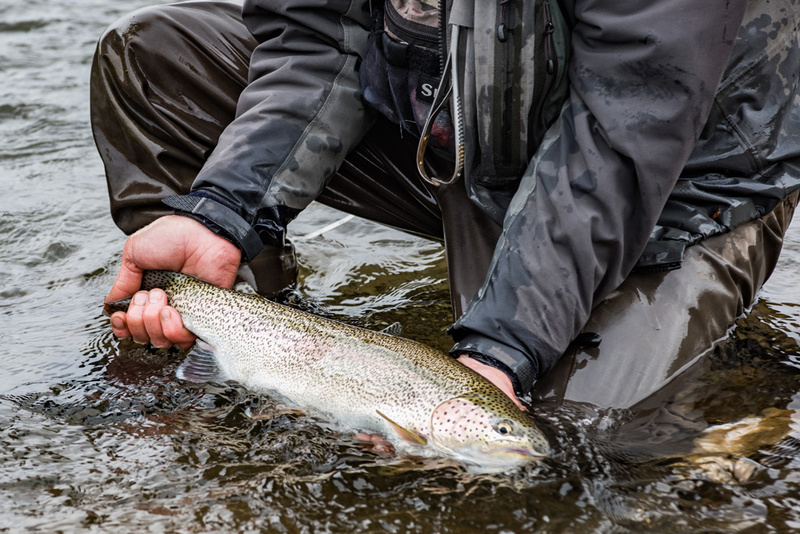 Though much of the water on the Kvichak is big by any standard, there are miles and miles of intimate braids containing the famous monster Alaskan Rainbow Trout. 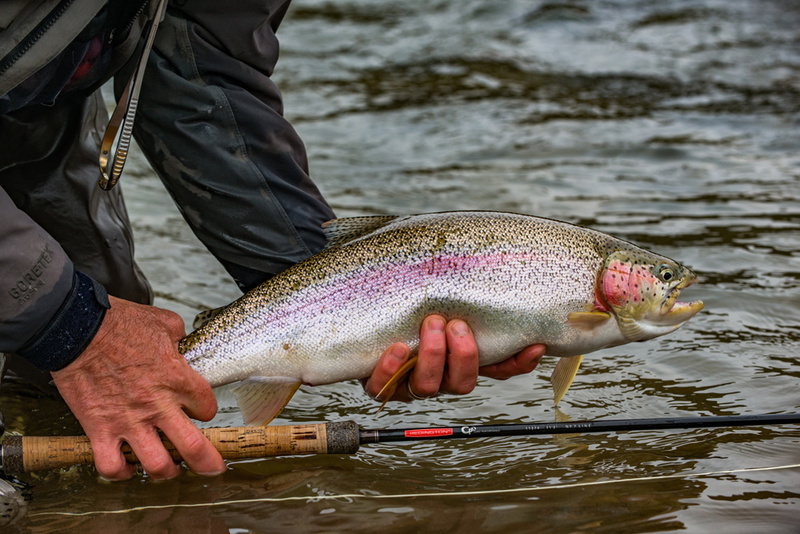 Trophy Rainbow Trout are an easy cast away, ready to test anglers of any skill level. 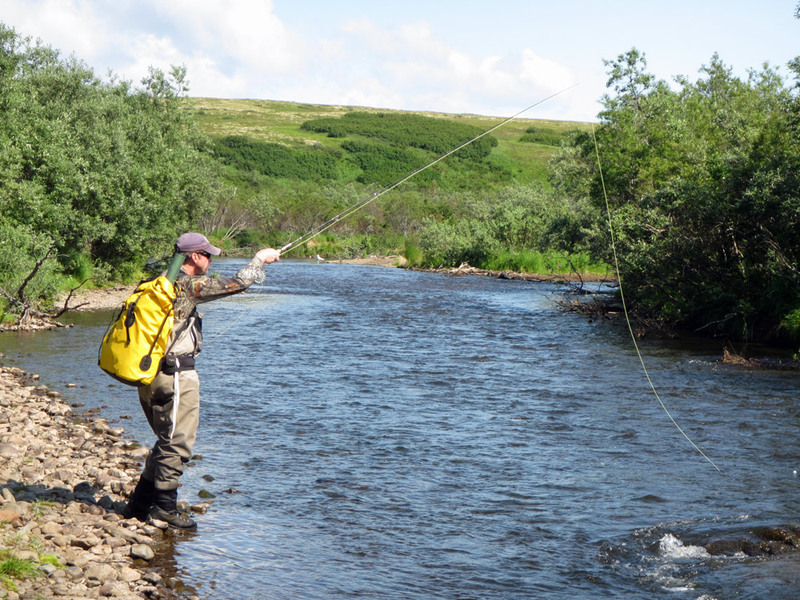 Imagine casting your fly line out into the swirling current, and just as the line passes in front of you it pulls tight. 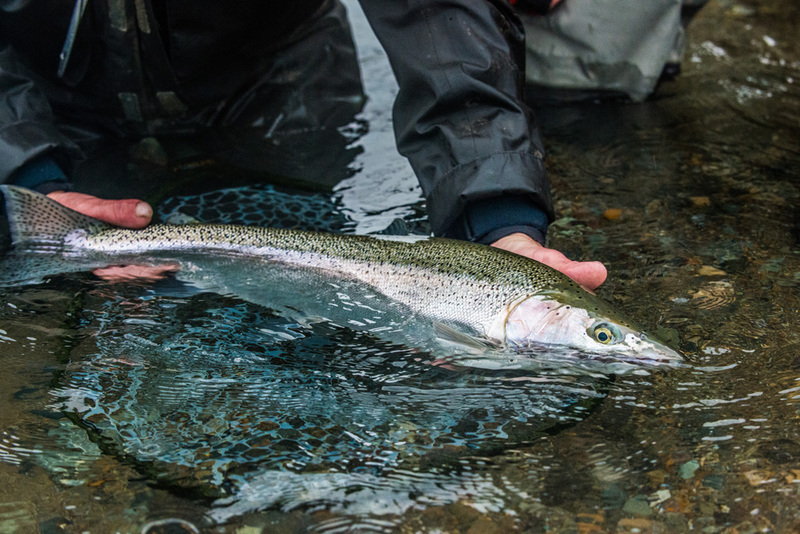 A 30 inch slab of powerful Alaskan Rainbow Trout comes spiraling up out of the water in a tremendous leap, then dashes off downstream. 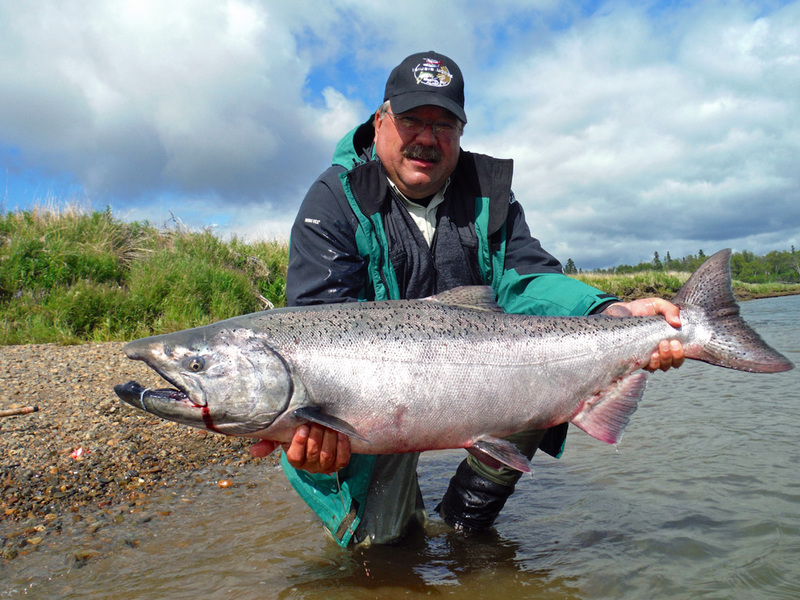 The Kvichak river is also known for the largest sockeye salmon runs in the world. 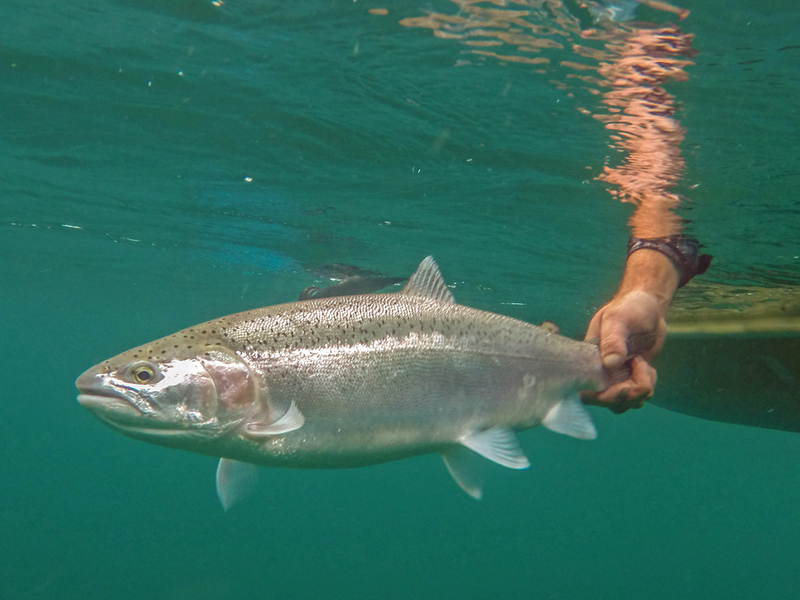 Imagine yourself standing knee deep in a crystal clear river as schools of bright sockeye salmon swim by you just a few feet away. 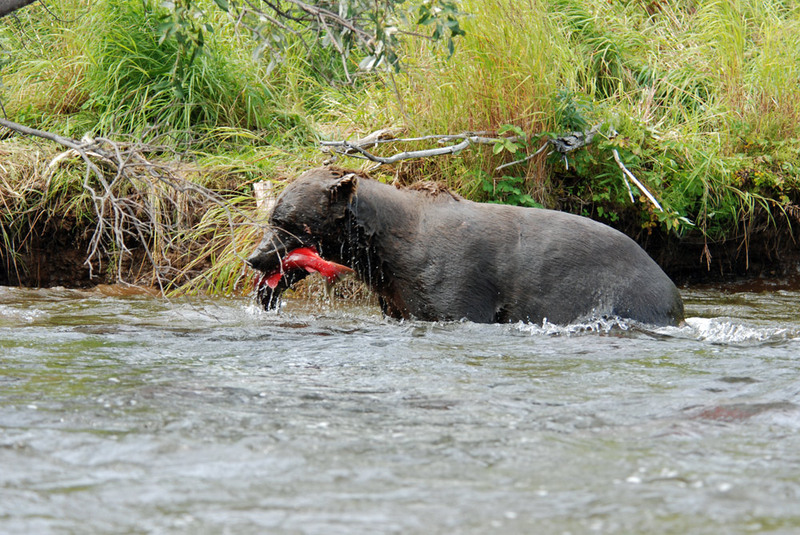 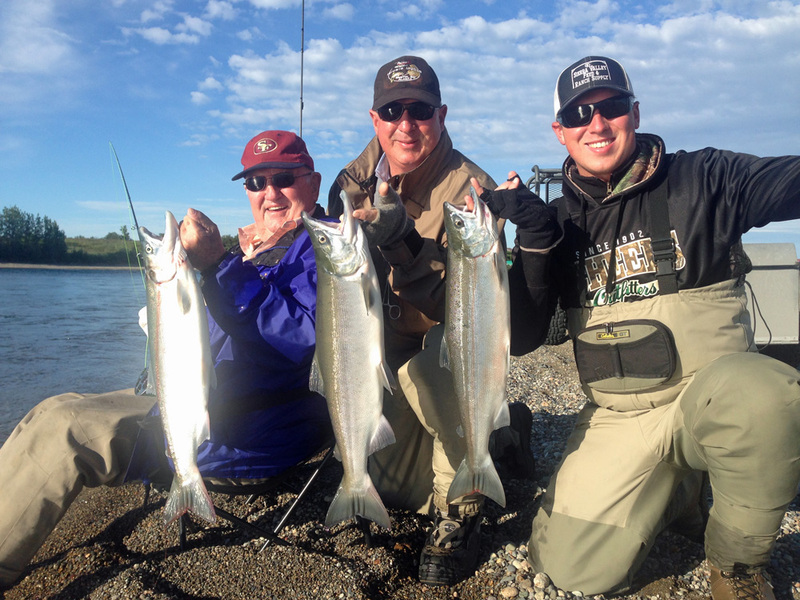 The sockeye fishing at our lodge is outstanding. 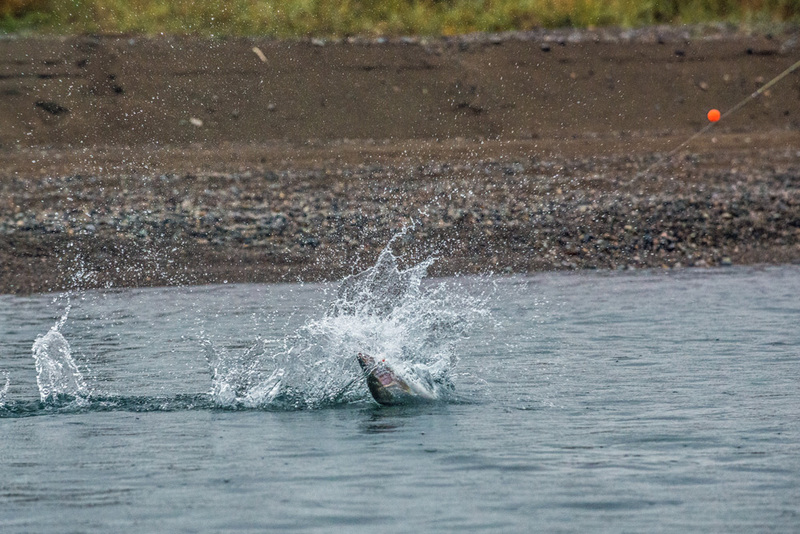 These fish are known for drag sizzling runs and acrobatic fights. 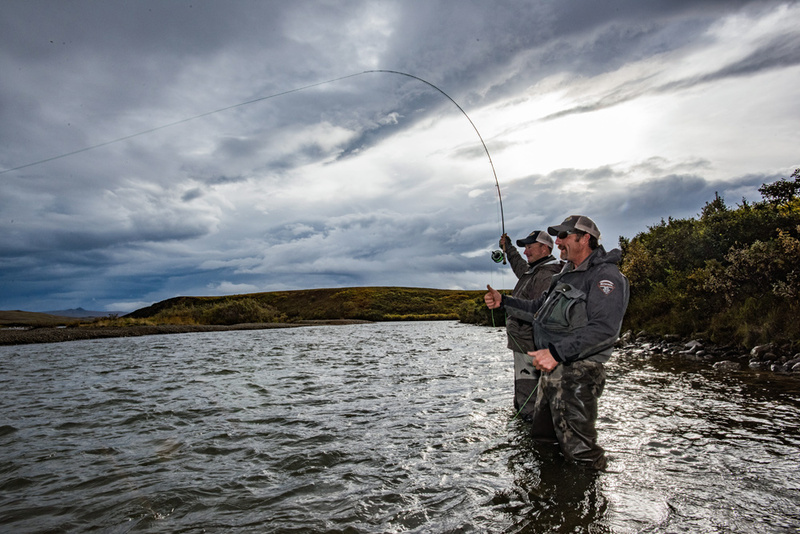 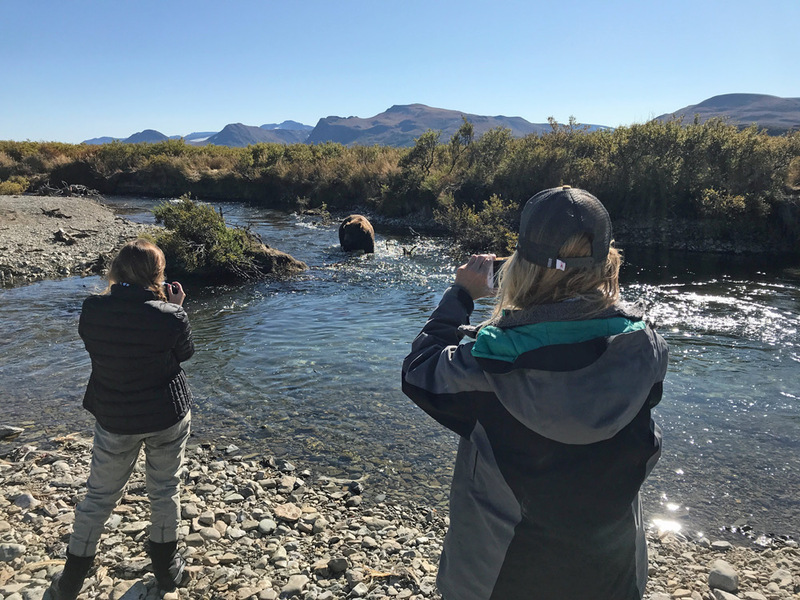 The fishing on the Kvichak River may be so good you won’t want to leave, but what’s an Alaskan fishing experience without a float plane fly out? 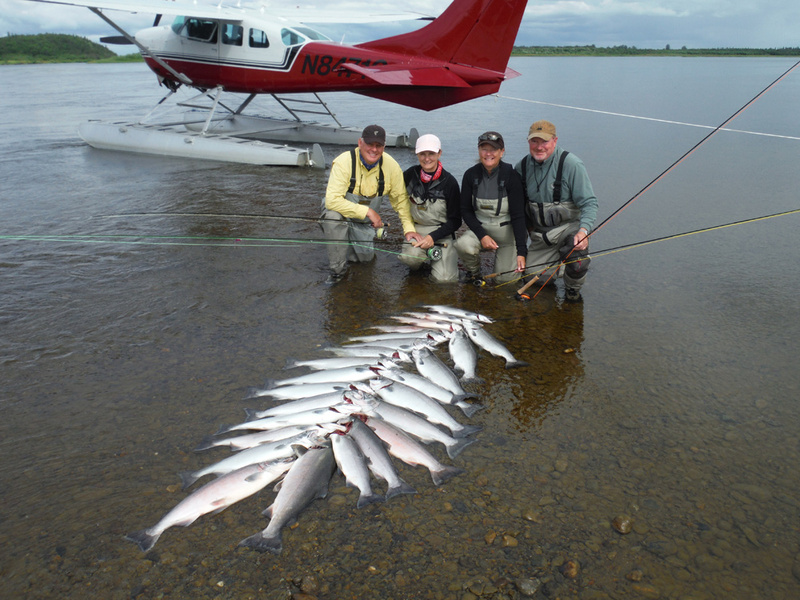 At Igiugig Lodge we’ll fly you to other rivers and lakes in the area. 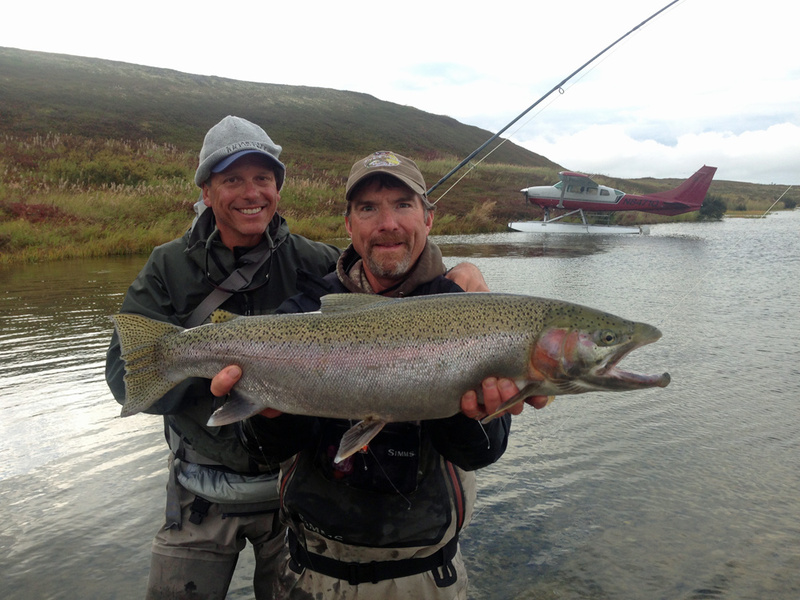 Fly outs give us the flexibility to go where the fishing is exceptionally good at any given time. 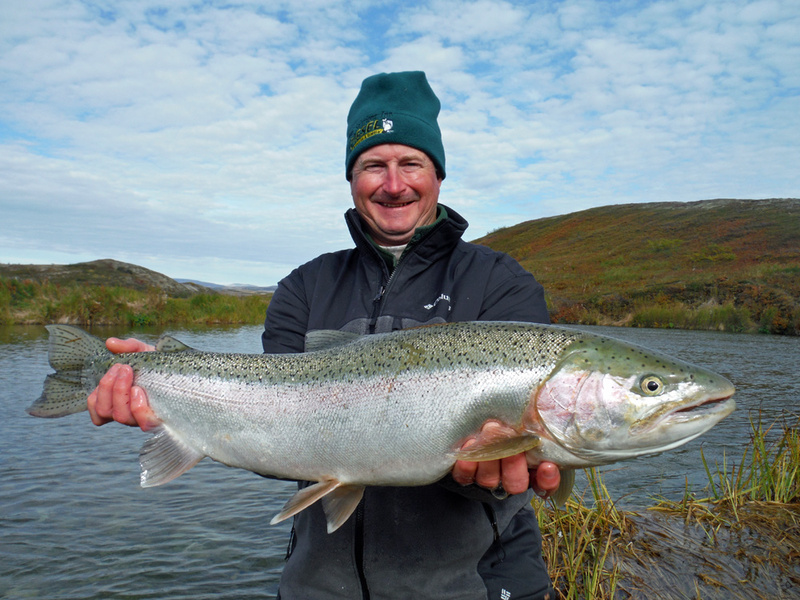 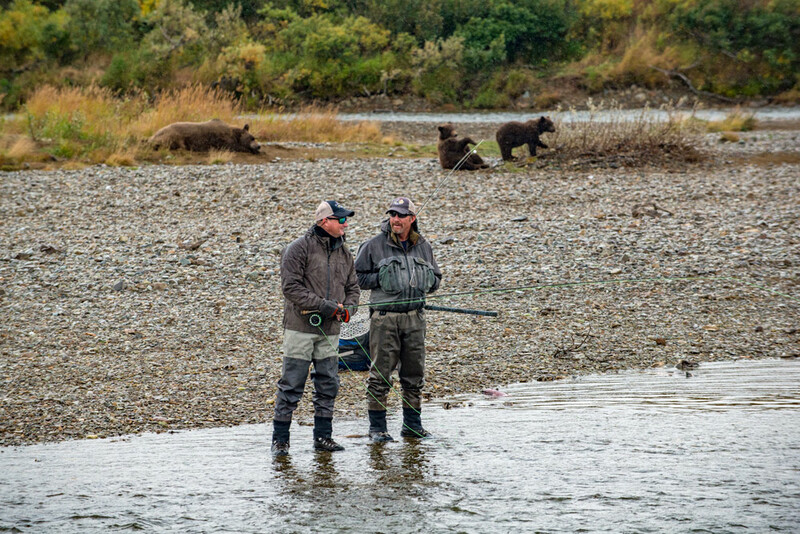 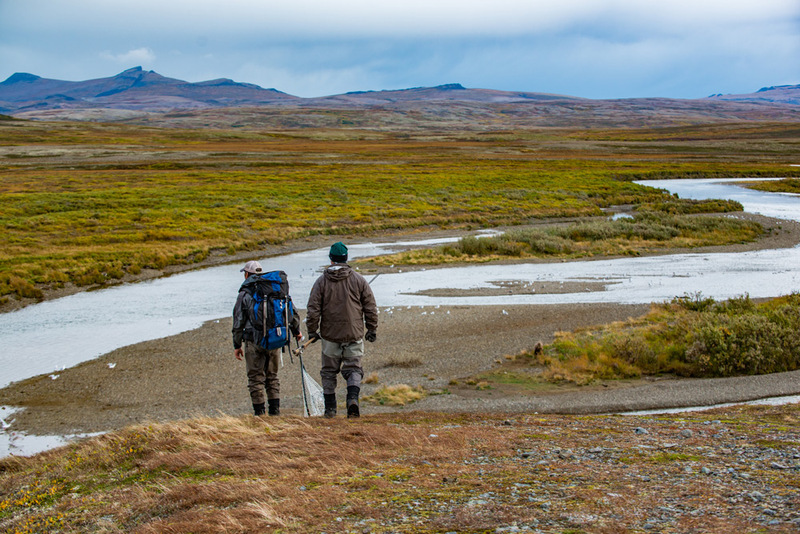 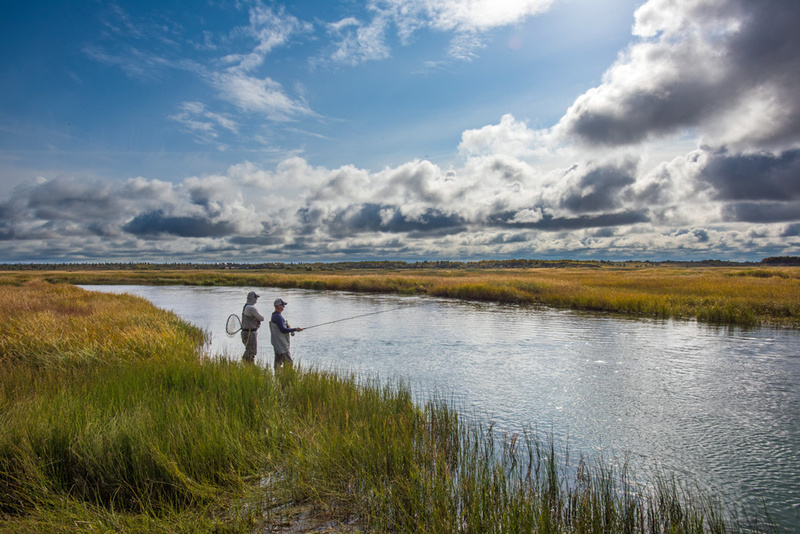 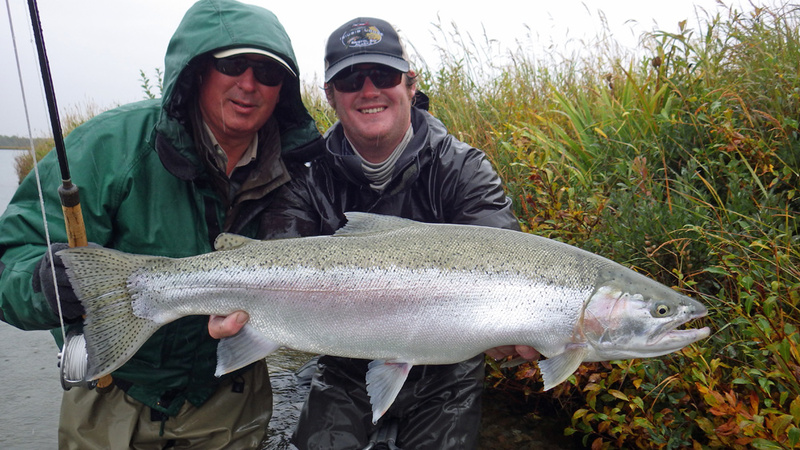 Our lodge location allows us to quickly reach the best Bristol Bay fishing locations quickly. 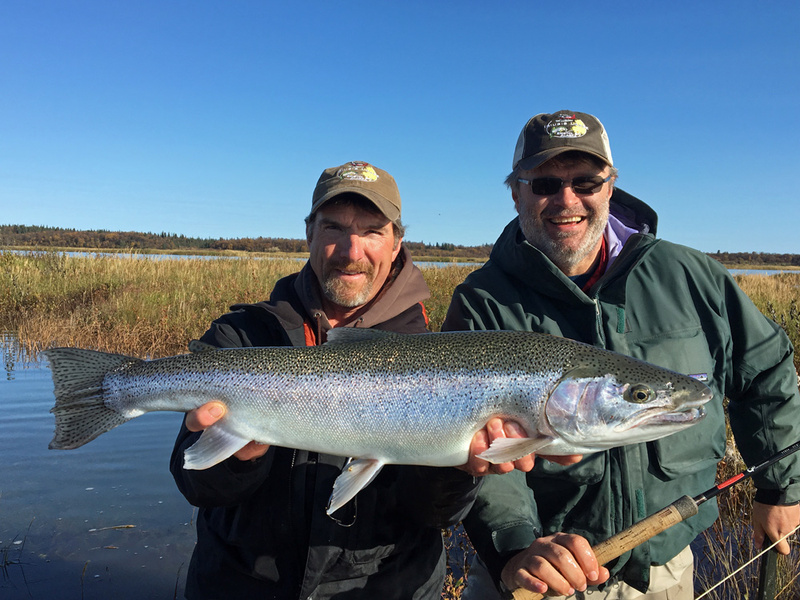 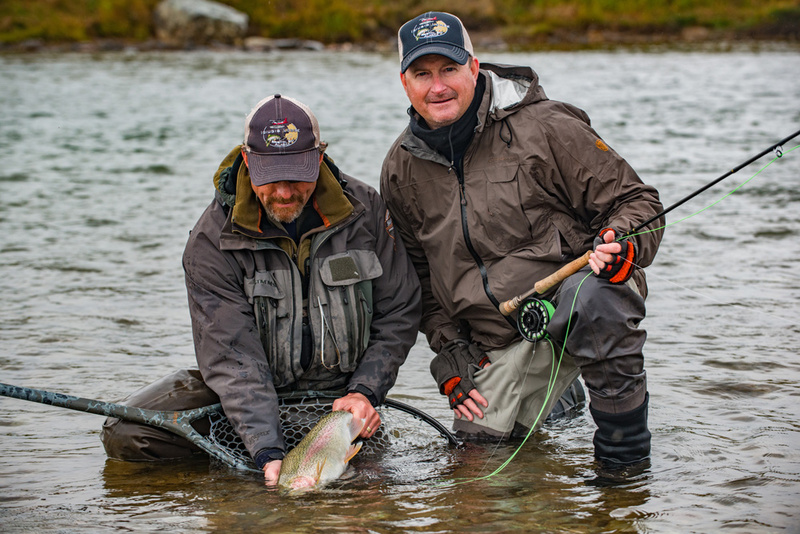 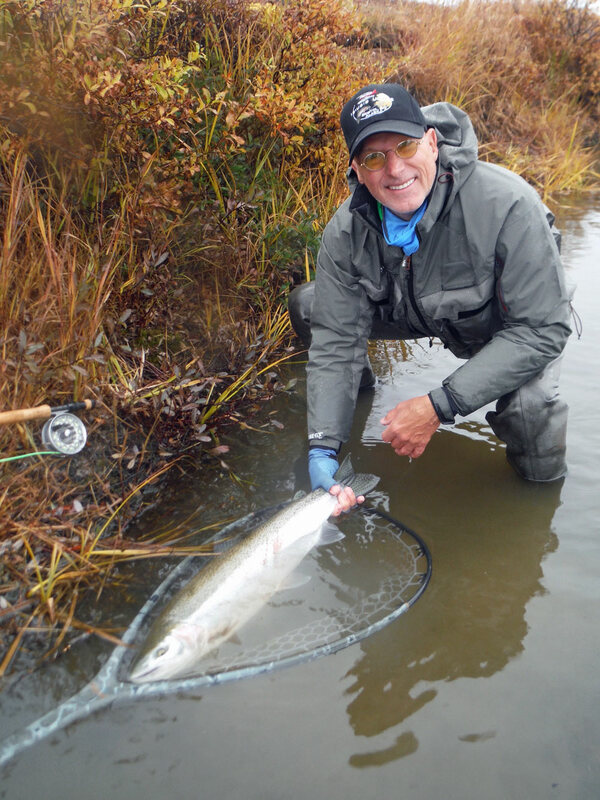 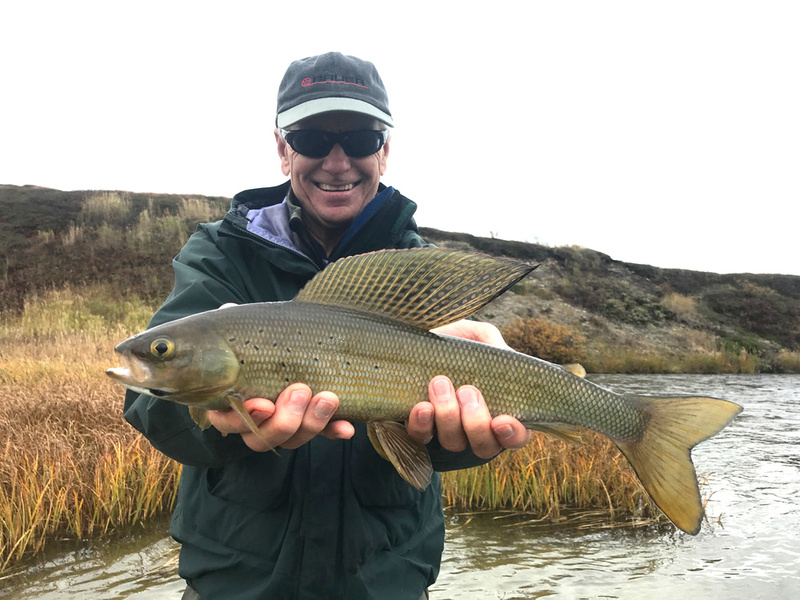 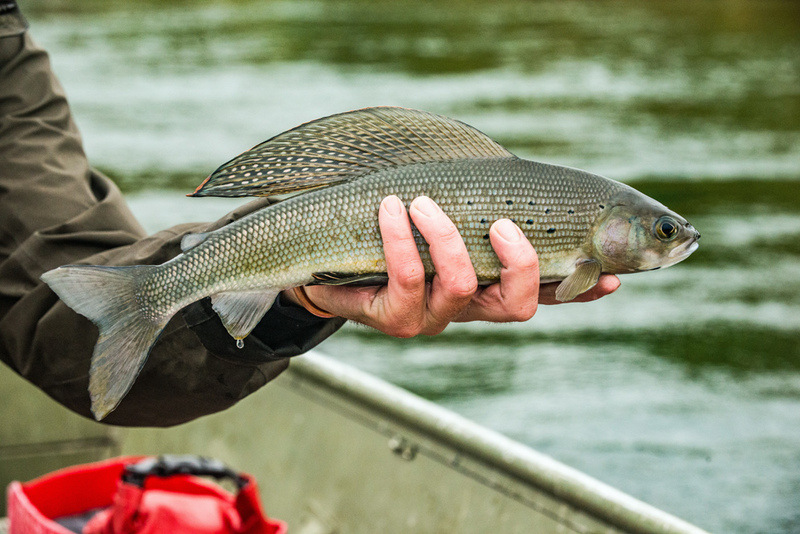 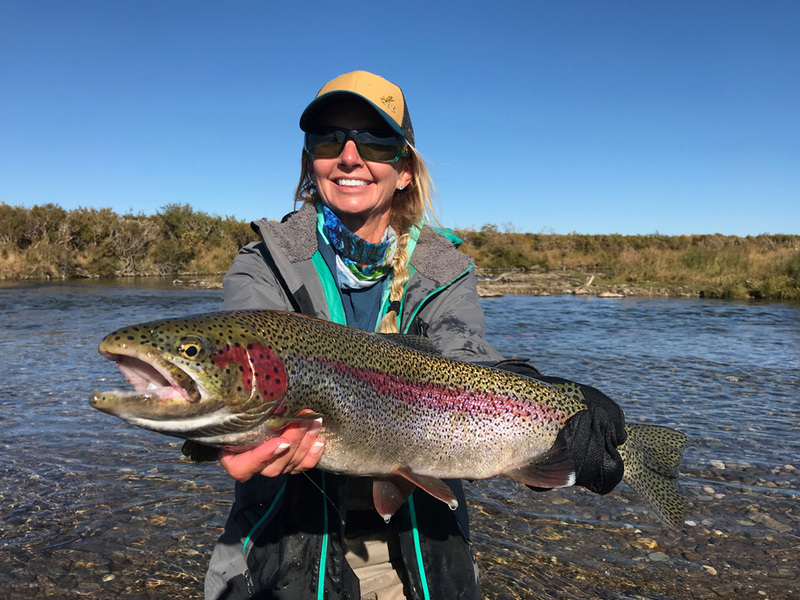 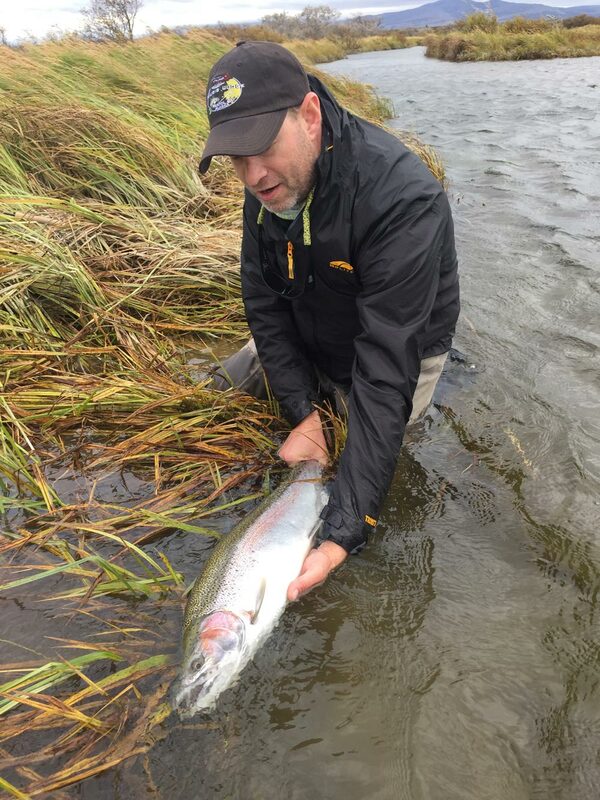 Lodge owner Brad Waitman serves as pilot and guide and will personally fly you and guide you the the best Bristol Bay fishing streams offering all five species of Salmon, Rainbow Trout, Northern Pike, Grayling, and Arctic Char. 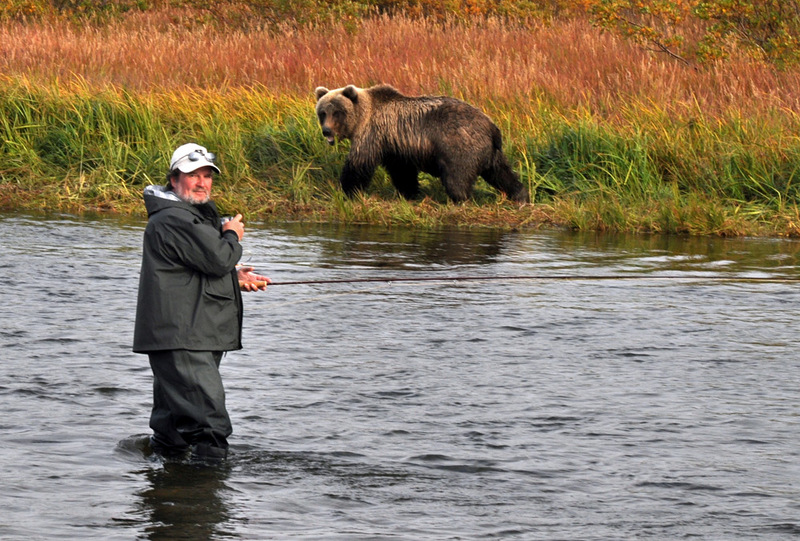 BRISTOL BAY FISHING AT IT’S BEST! 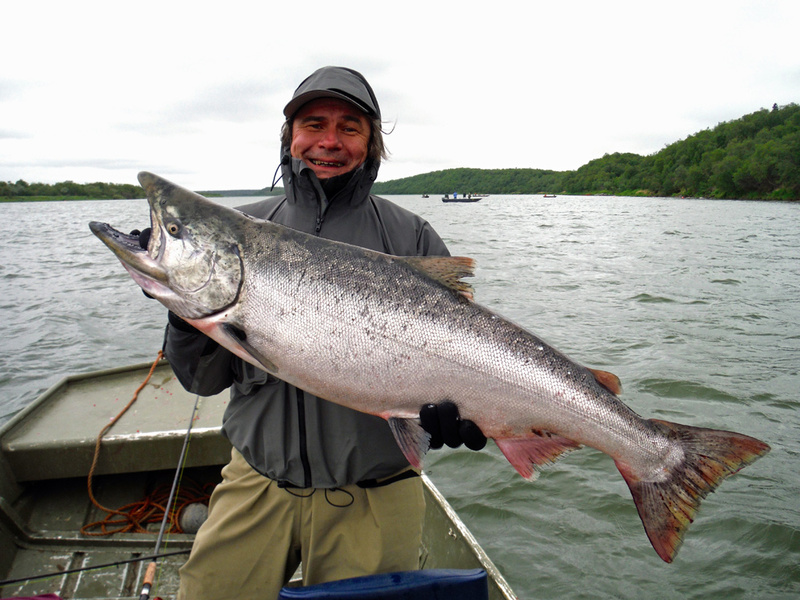 Interested in fishing for King Salmon? 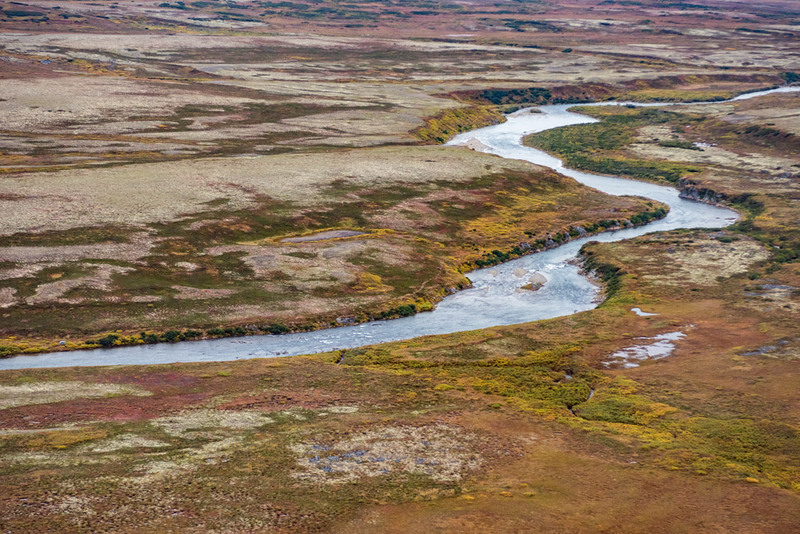 It’s just a short 20 minute plane ride in our Cessna 206 float plane to take you from our lodge at the Kvichak River directly to the Nushagak River. 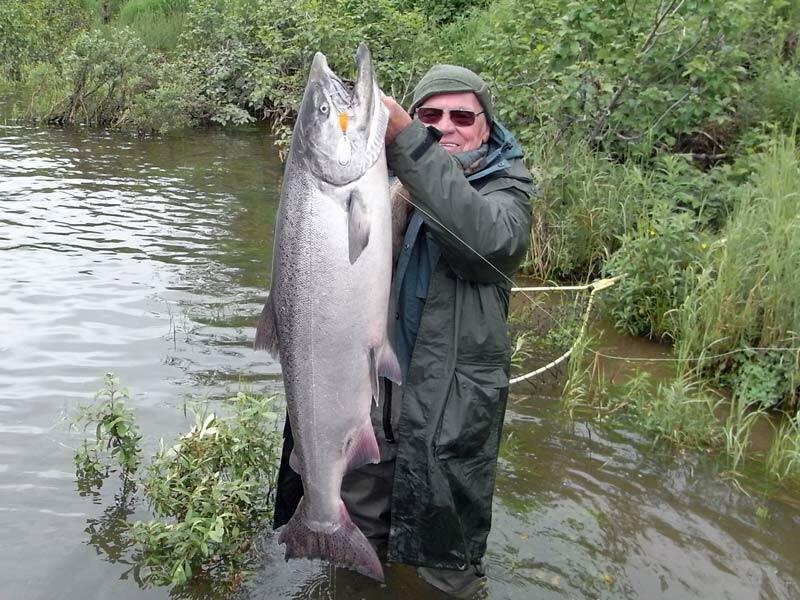 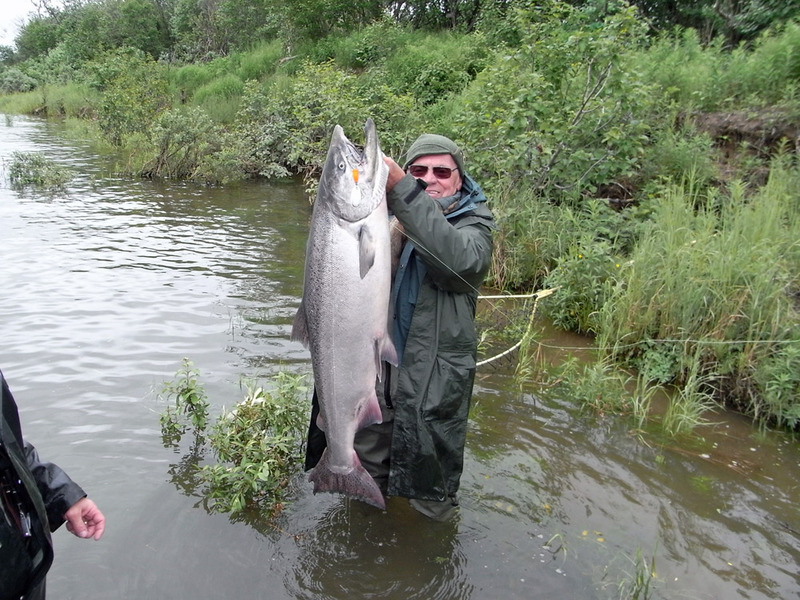 From mid June through the end of July the Nushagak River gets the largest run of King Salmon in the world. 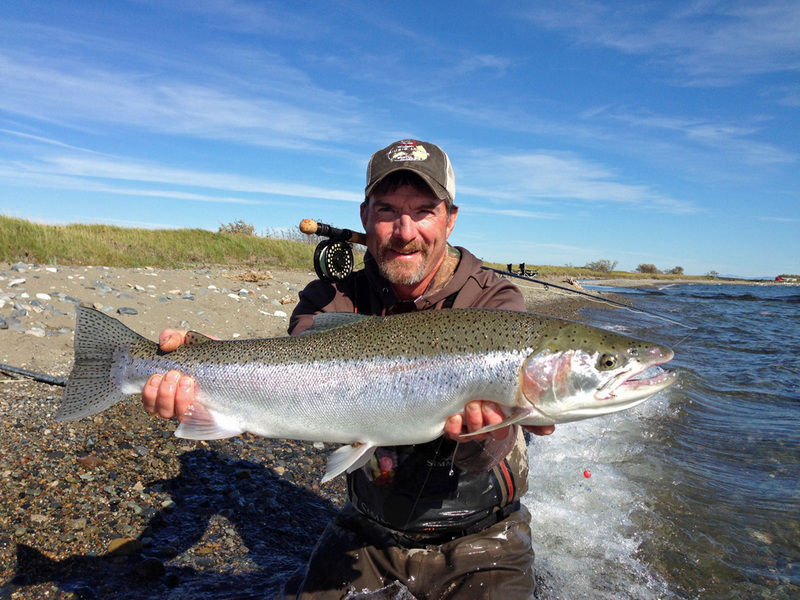 We keep a boat ready to go at the Nushagak and Brad will fly you there and then stay with you and guide you on a world class king salmon fishing experience. 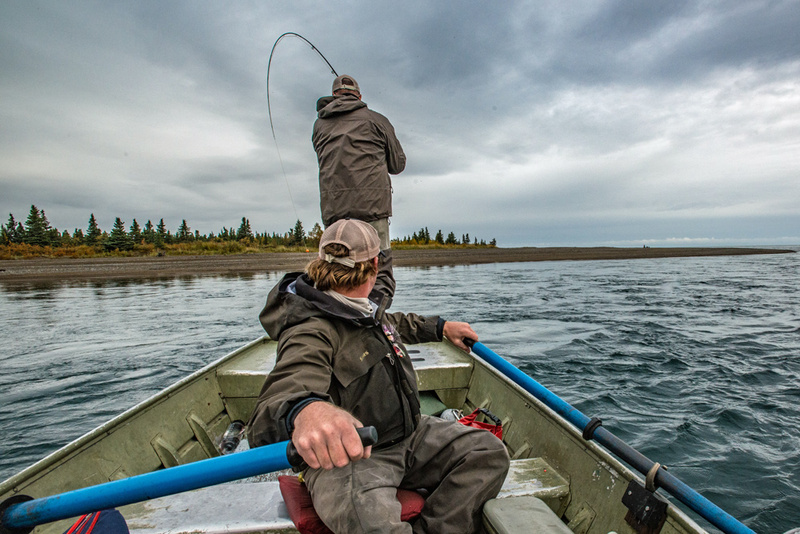 If were not taking you by float plane to the Nushagak River, we can take you to any number of other prime fishing locations throughout Bristol Bay. 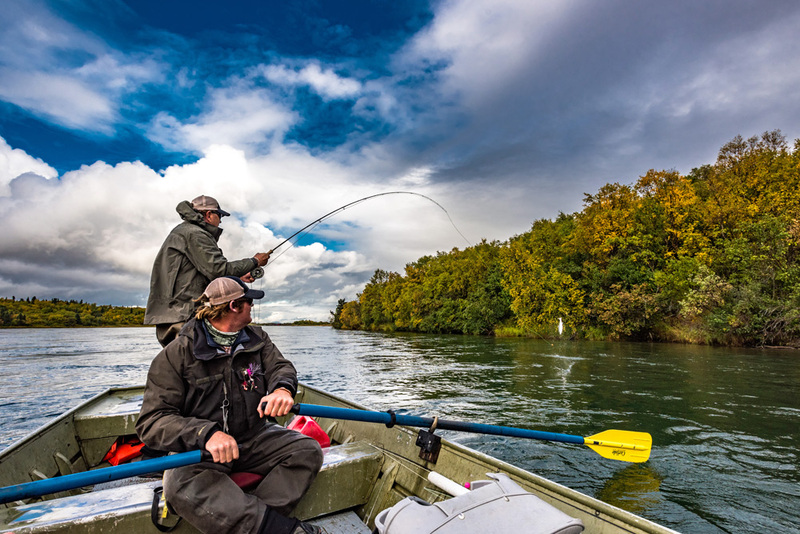 If weather shuts flying down no worries, we are right at home on the trophy waters of the Kvichak, which means you’ll never miss any fishing days. 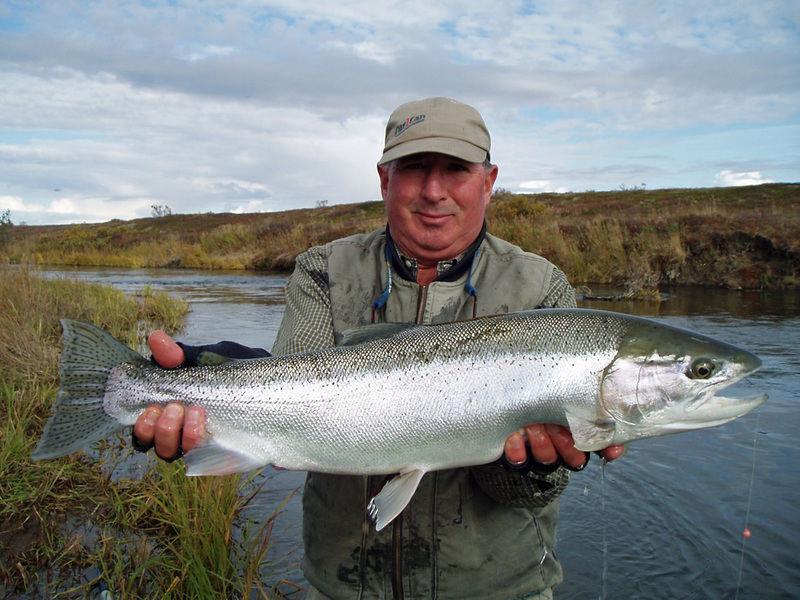 For the fly fisherman, Alaska is synonymous with giant Rainbow Trout. 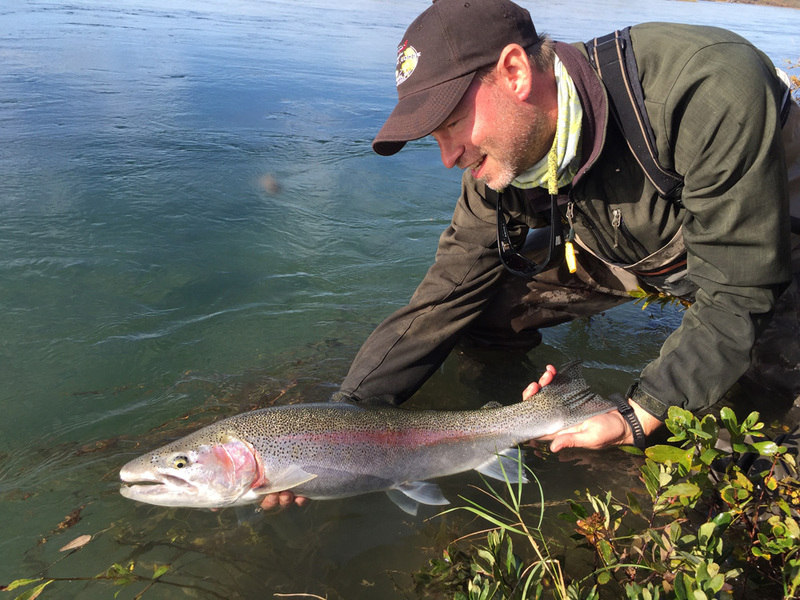 The Rainbows in this area are all wild…no hatcheries here. 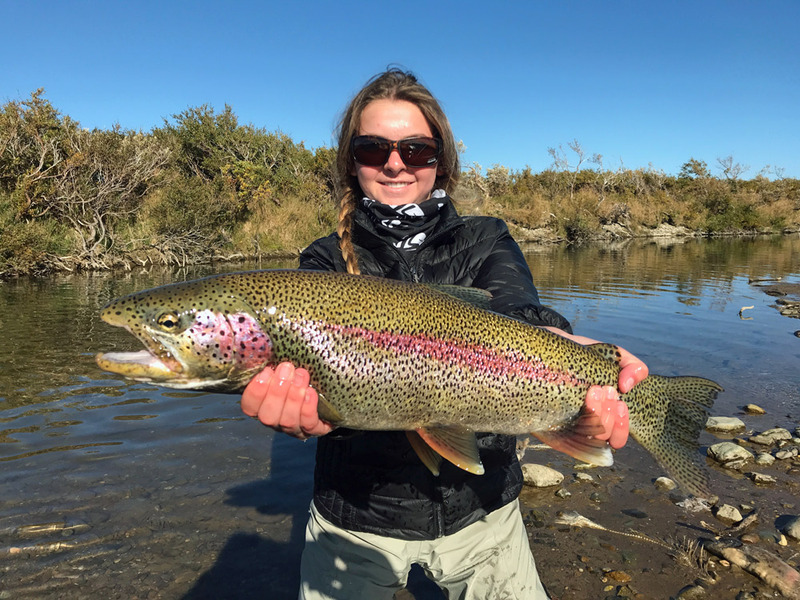 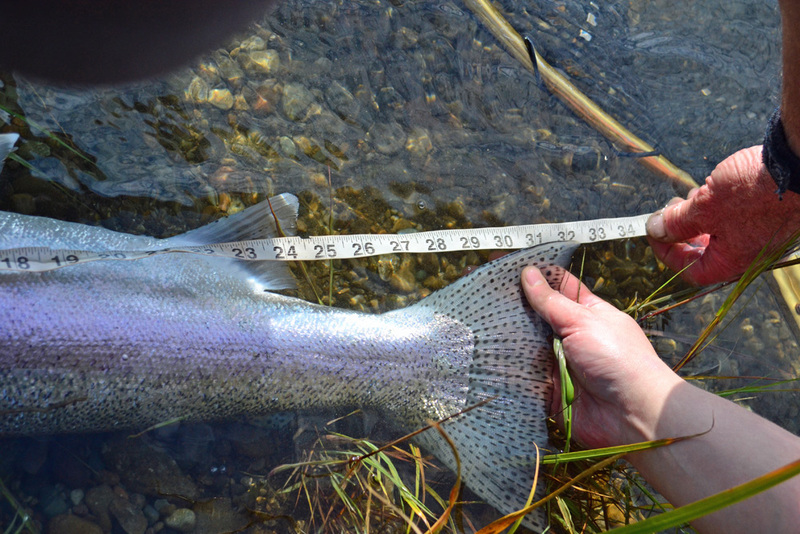 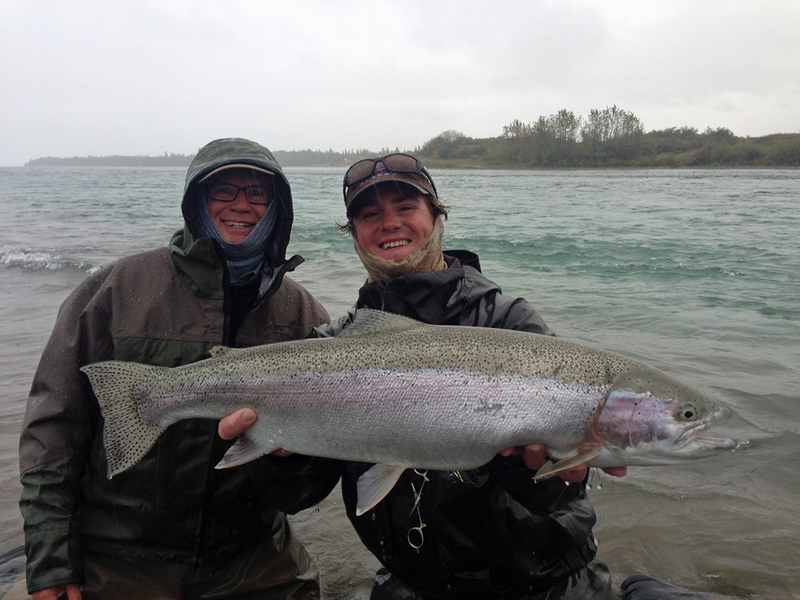 Rainbows are available all season long, averaging 18 to 27 inches, and the prized 30 inch fish is not uncommon. The largest of the Pacific Salmon, Kings average 20 to 30 pounds with the largest weighing in at 60 pounds. 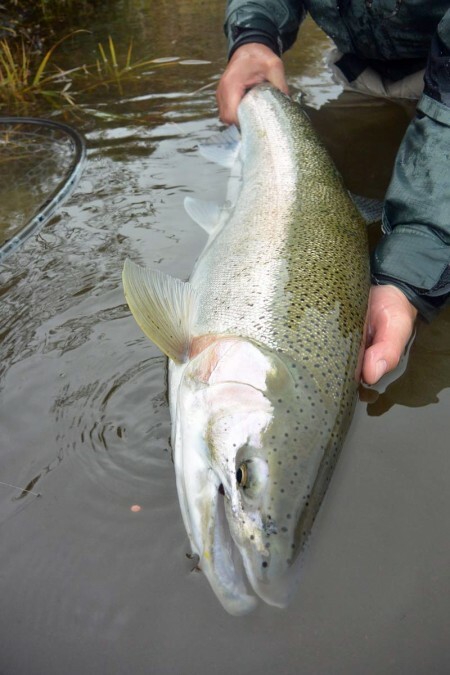 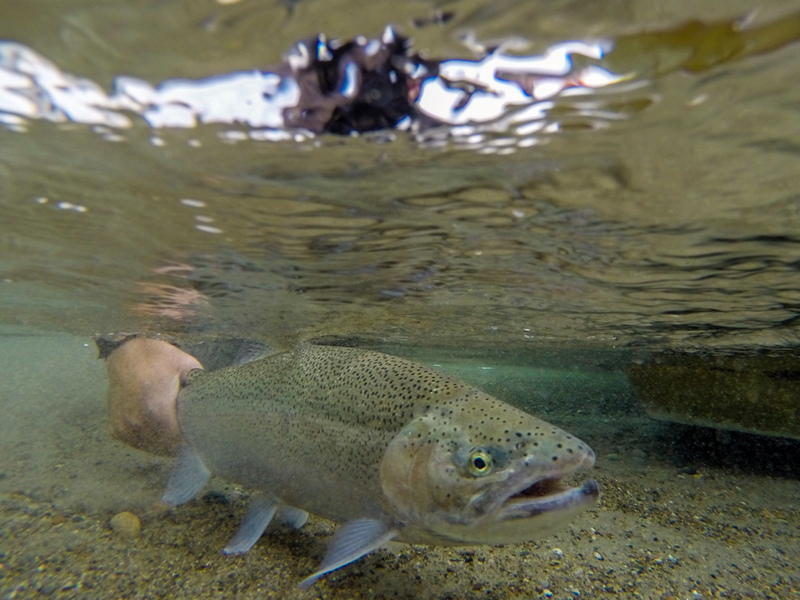 They enter our rivers in early June with fishing peaking from mid June to the middle of July. 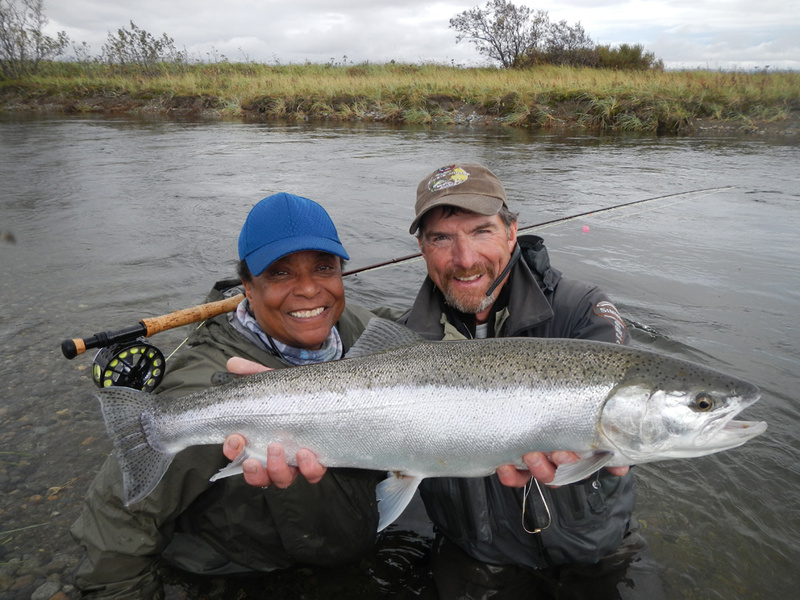 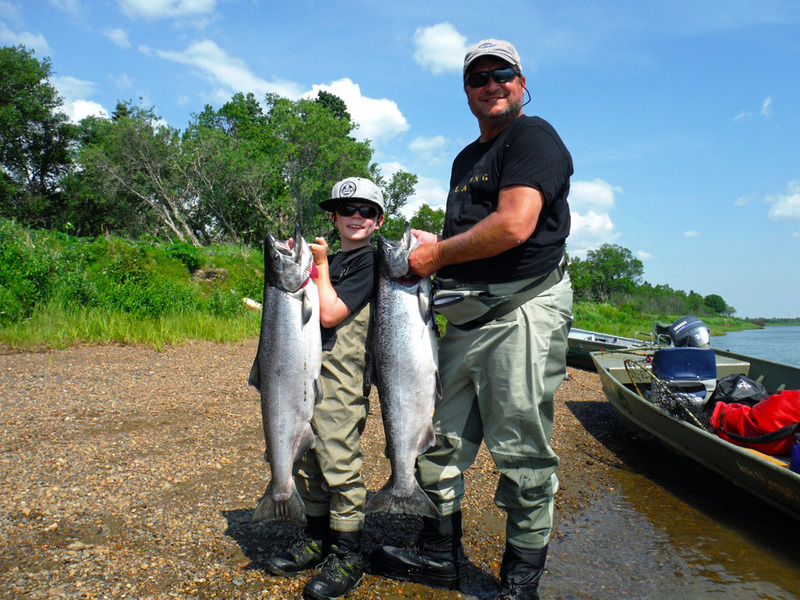 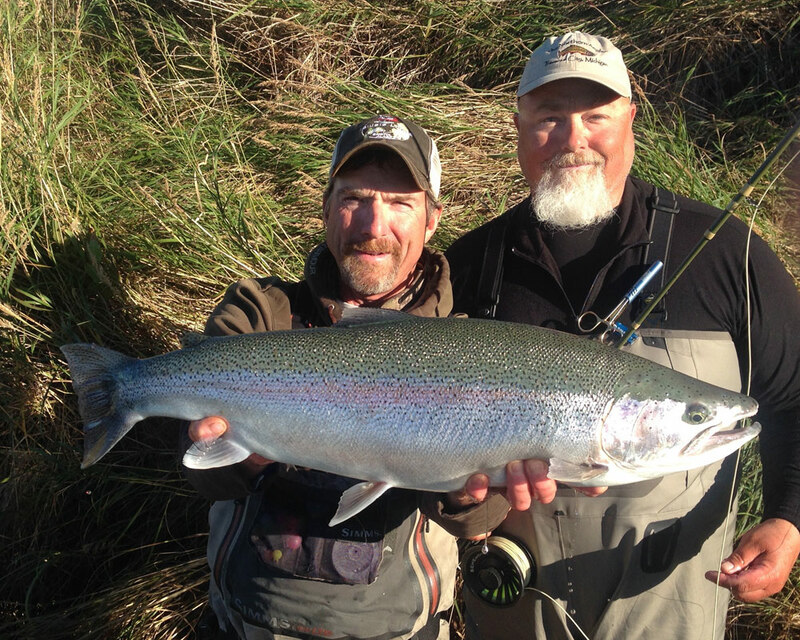 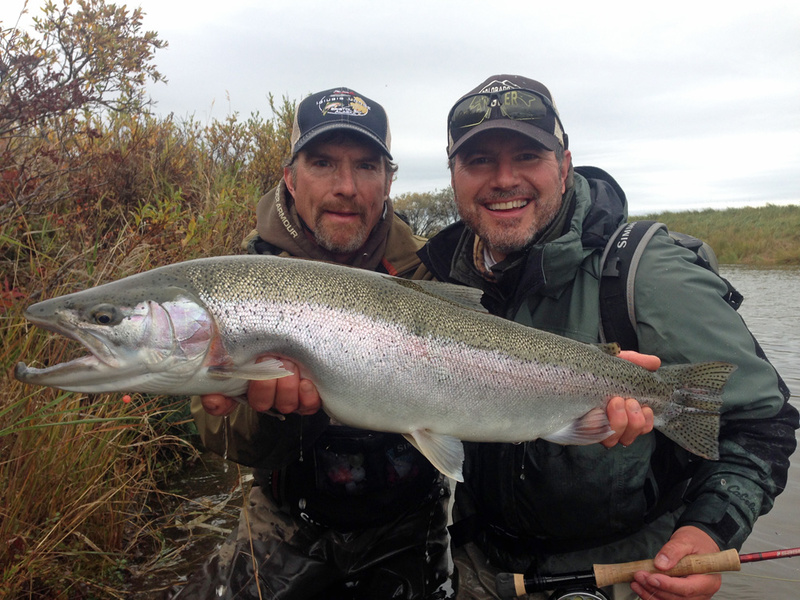 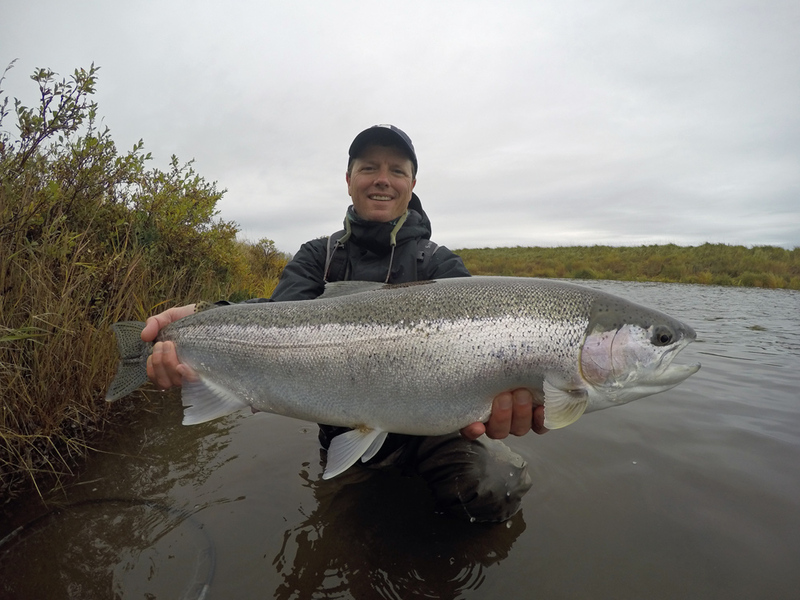 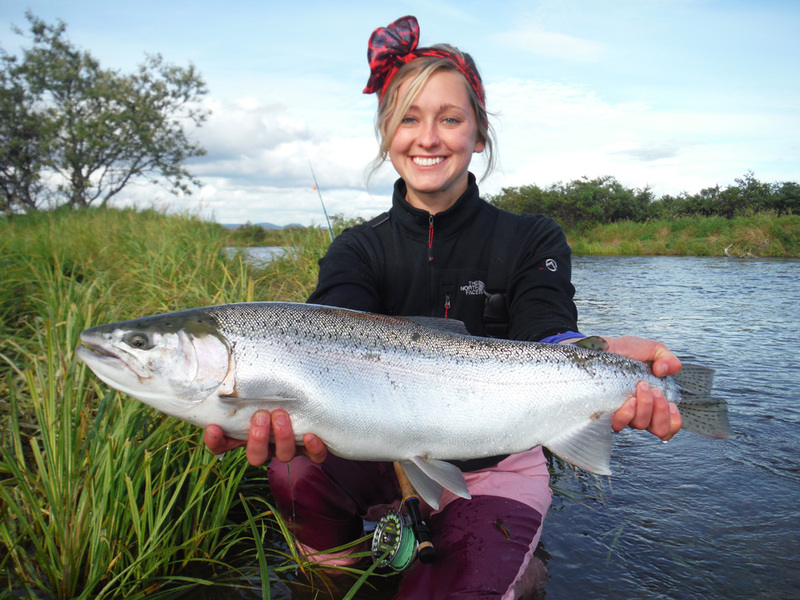 We fish the Nushagak River which holds the largest returning run of Kings in Alaska. 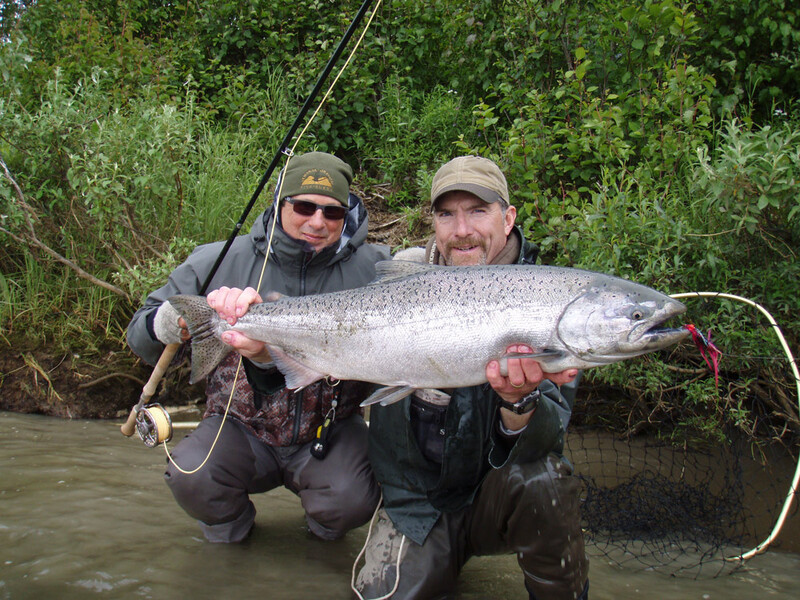 We lease several different lands on the “Nush” providing our guests with the BEST King Salmon fly fishing available. 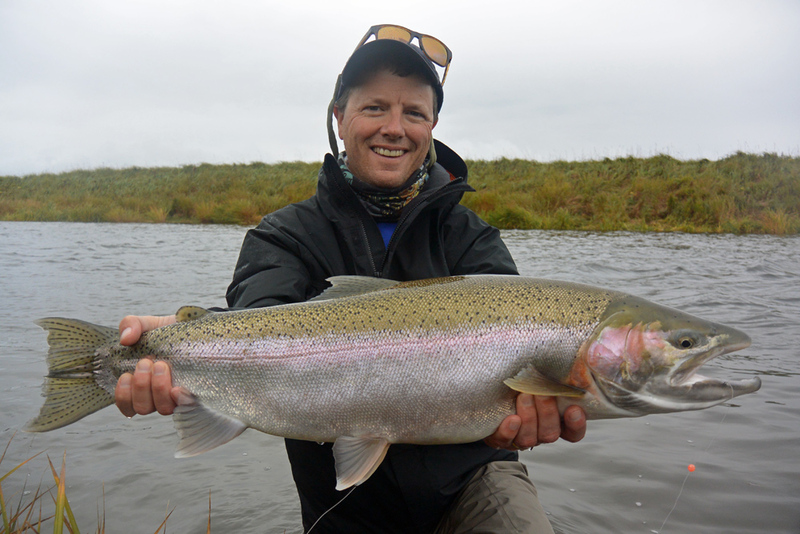 Chums average 8 to 12 pounds and have a keen appetite for streamer flies and spinners. 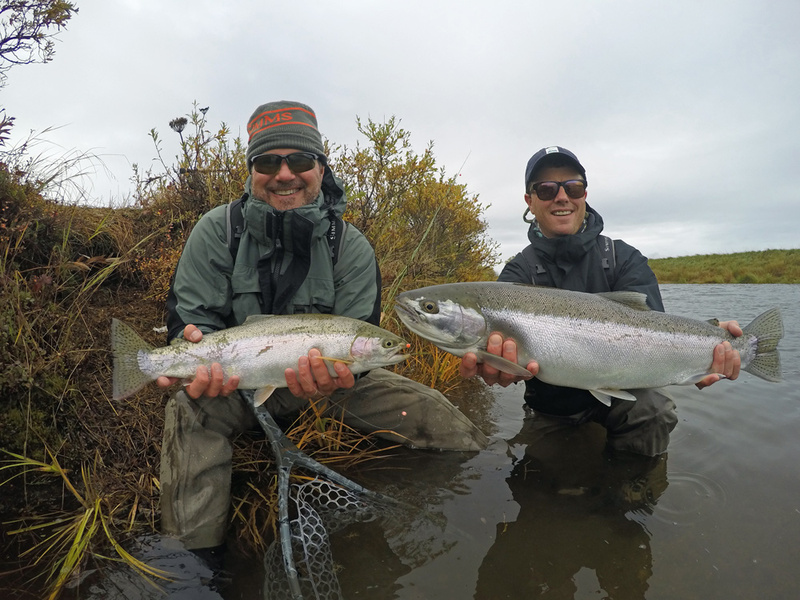 They don’t have as good as a reputation as the other salmon species when it comes to the dinner table, but for on the fly line there is much respect for their fighting endurance. 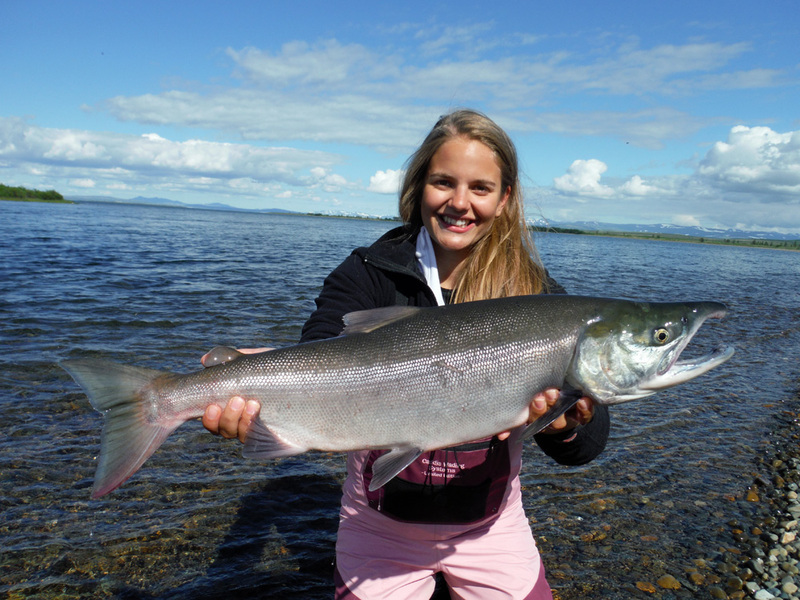 Chum Salmon top the scales at 20 pounds and arrive in our rivers in July and early August. 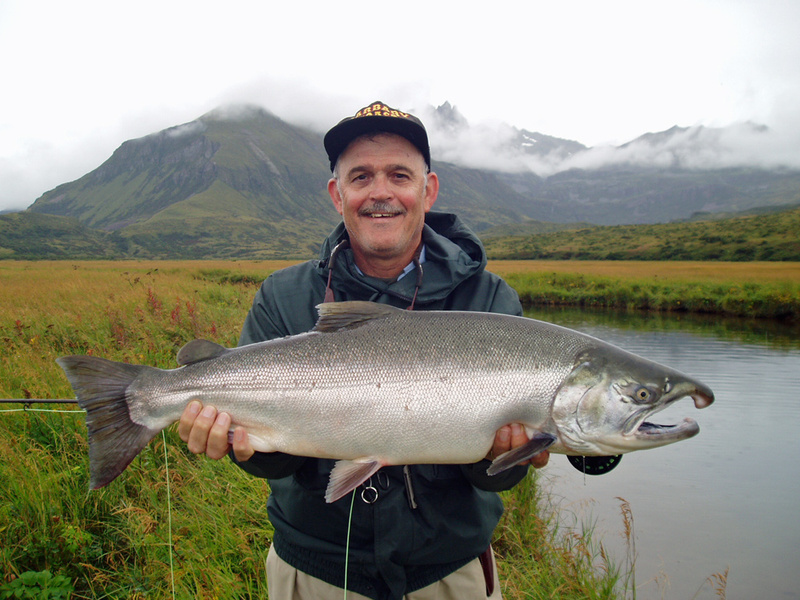 The smallest of the Pacific Salmon, averaging 3 to 5 pounds. 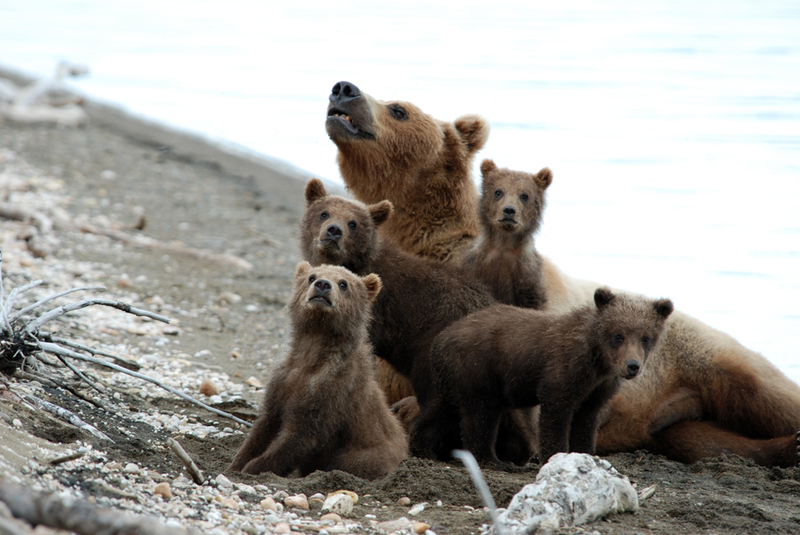 They arrive in mid-July and August. 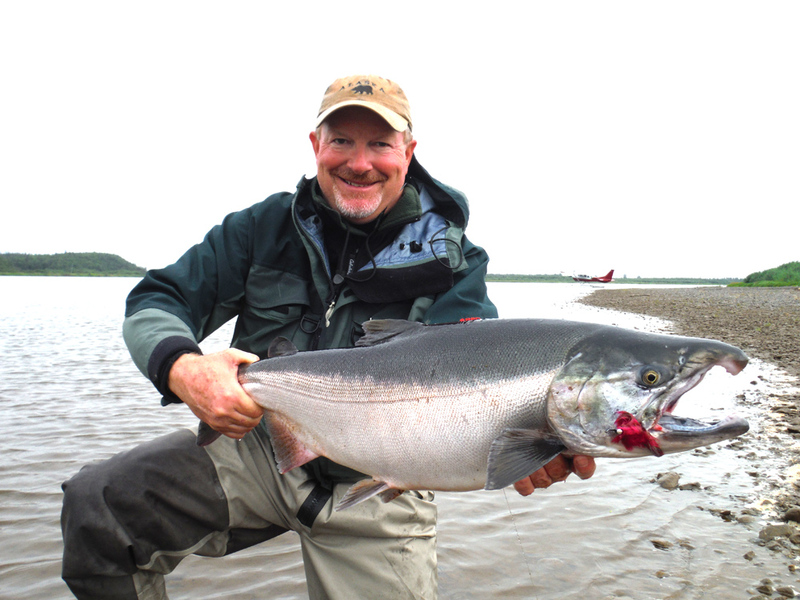 What pink salmon lack in size they make up for in aggressiveness and non-stop action. 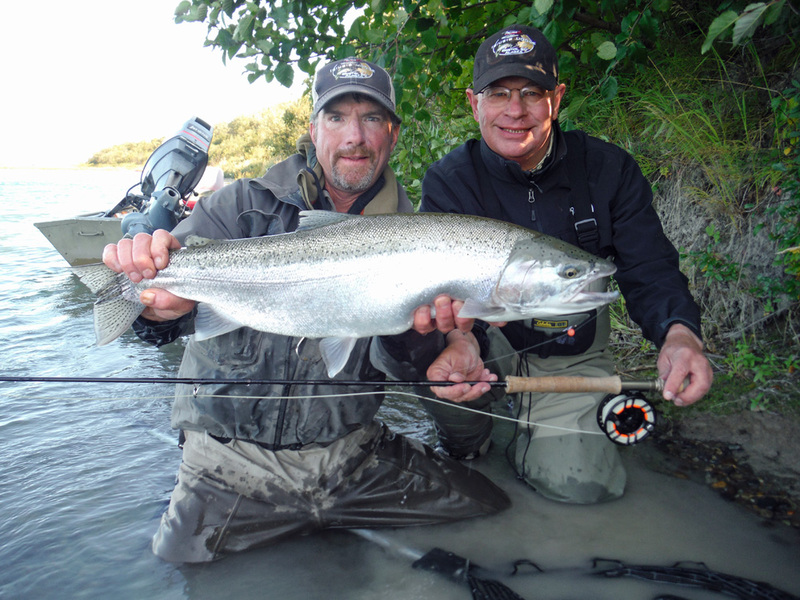 They are excellent sport on smaller rods. 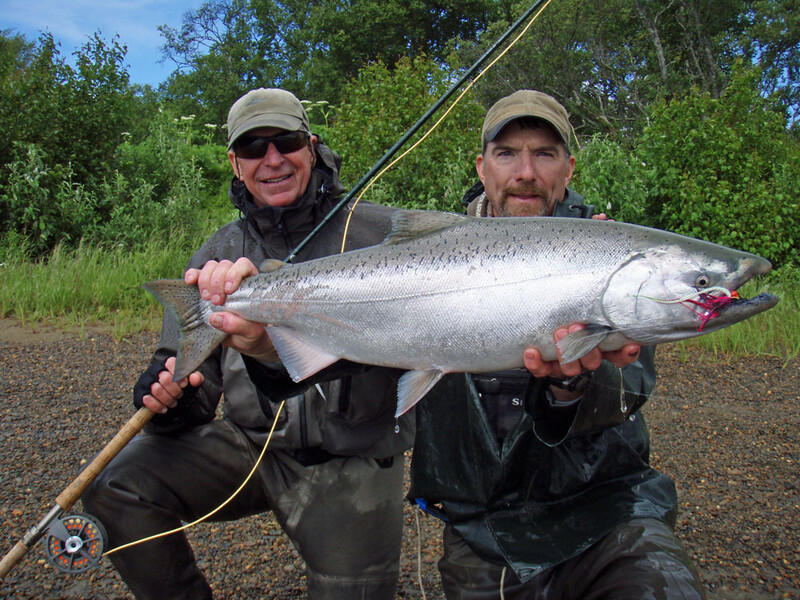 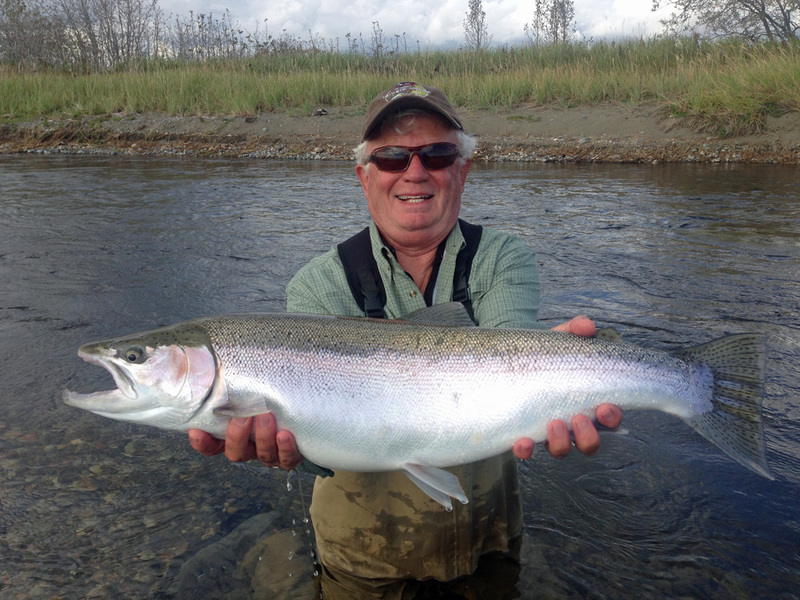 Fishing for Silvers is at its best in August and September. 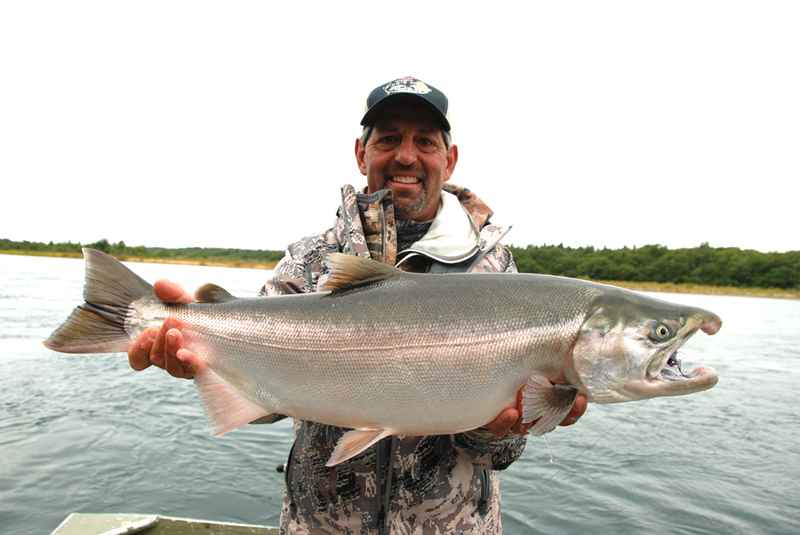 Most silver Salmon weigh between 8 and 15 pounds and are very aggressive towards flies and spinners. 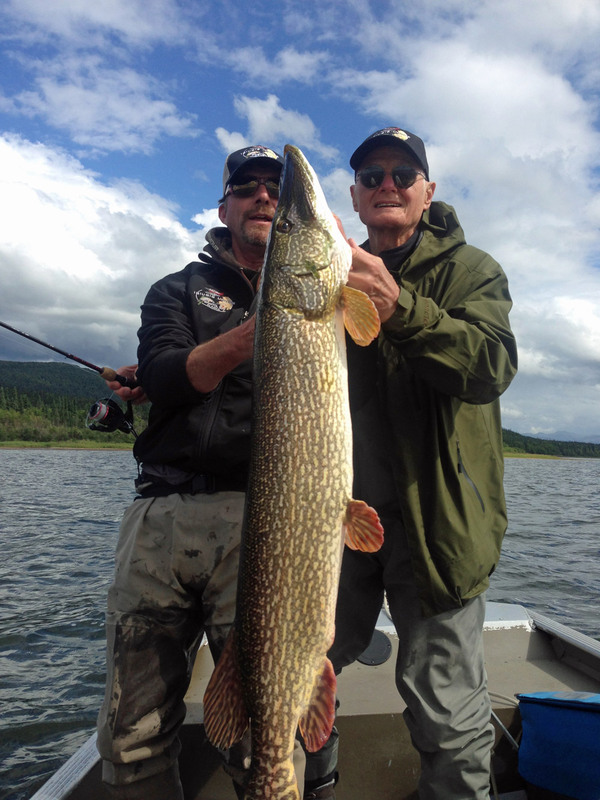 Northern Pike are the freshwater alligators of Alaska. 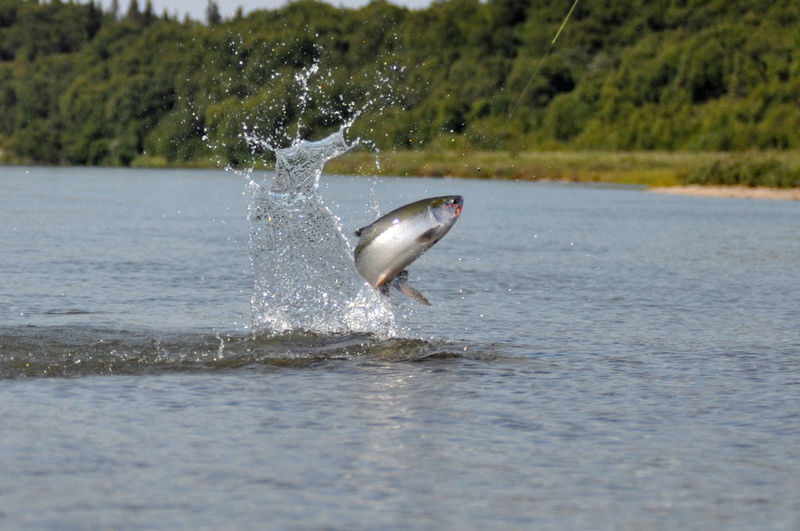 Their strike is vicious, they are usually big and they will hit anything the moves! 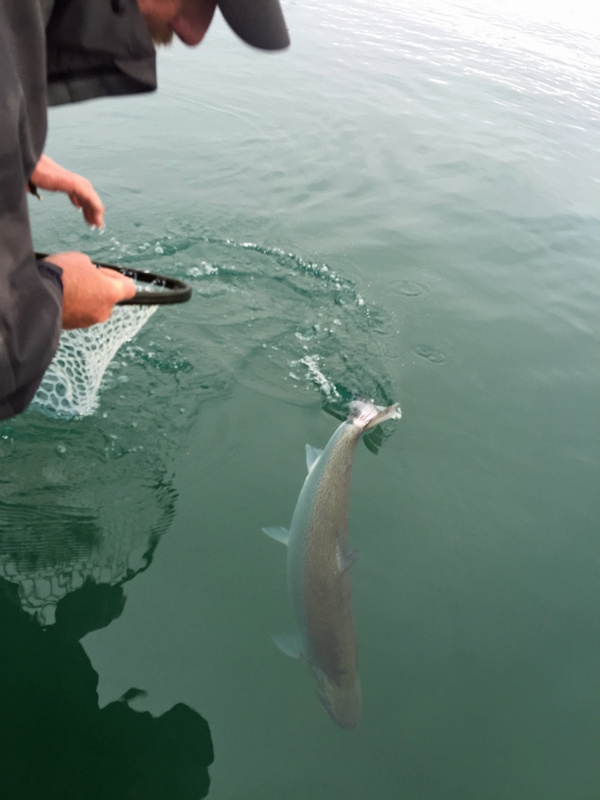 Pike are usually caught in the 25 to 40 inch class range. 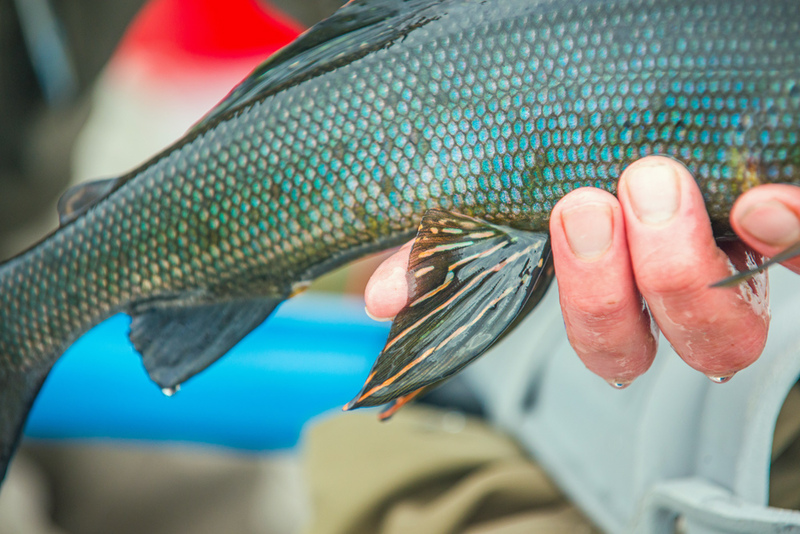 Pike can be found as close as your cabin door and are available all season.